In the 2014 national mid-term elections, Republicans picked up at least eight seats to gain control of the U.S. Senate and expanded their majority in the U.S. House of Representatives by at least 12 seats. The composition of the U.S. Senate in the 114th Congress will be 53 Republicans, 44 Democrats and two Independents, with one race yet to be decided. The final Senate race will be determined in a December 6 run off in Louisiana between incumbent Senator Mary Landrieu (D) and Congressman Bill Cassidy (R). In the new Congress, the House of Representatives will consist of 244 Republicans and 186 Democrats, with the final numbers dependent on three races that remain undecided (AZ-02, LA-05, and LA-06). Since the elections, both Republicans and Democrats have held their internal elections for party leadership positions in the House and Senate for the 114th Congress, which convenes January 6, 2015. No incumbent in either party’s leadership ranks was defeated for re-election. The House has selected its Chairmen and Ranking Minority Members for each House committee for the 114th Congress. One of the most watched contests in the House was for the Ranking Member slot on the House Energy and Commerce Committee, which opened due to the retirement of Rep. Henry Waxman (D-CA) at the end of the year. Last week, Rep. Frank Pallone (D-NJ) was named as his successor. Of additional interest are changes in leadership of the Natural Resources Committee (New Chair Rob Bishop (R-UT) and Ranking Member Raul Grijalva (D-AZ)), the Transportation and Infrastructure Committee (new Ranking Member Rep. Peter Defazio (D-OR)), and the Ways and Means Committee (new Chair Paul Ryan (R-WI)). A compiled list of leadership and House congressional committee decisions can be found here. Although the Senate has not yet finalized its committee leadership positions, Senator Lisa Murkowski (R-AK), a long-time champion of hydropower, is poised to become Chair of the Senate Energy and Natural Resources Committee, with the Ranking Member either Senator Landrieu or Senator Maria Cantwell (D-WA), depending on the outcome of December 6 run off in Louisiana. To learn more about congressional priorities during the remaining two weeks of the lame duck session, click here. The Senate Energy and Natural Resources Committee will hold a confirmation hearing for Federal Energy Regulatory Commission (FERC) Commissioner nominee Colette Honorable on December 4. As reported in our August Hydro Newsletter, on August 28, 2014, President Obama nominated Honorable to serve as a FERC Commissioner. Honorable is currently the chairman of the Arkansas Public Service Commission. If confirmed by the Senate, Honorable would replace Commissioner John R. Norris, who resigned his position as FERC Commissioner on August 20 to serve as Minister-Counselor for the U.S. Department of Agriculture in Rome, Italy. The list of “excluded waters” from federal jurisdiction is too narrow. Although the Agencies have historically regulated traditional in-river impoundments, there is now concern that the Agencies’ proposed definition for “tributaries” is too broad and could result in CWA jurisdiction over certain manmade areas associated with water distribution and other uses, such as off-river storage ponds, as impoundments of tributaries. Several commenters have requested that the Agencies clarify that jurisdictional “impoundments” do not include manmade, off-stream facilities that lawfully appropriate and remove water from the natural environment, such as a drinking water systems and off-stream storage ponds. It is unclear whether the Agencies will proceed to finalize the proposed rule in light of both Congress’ and the public’s requests to withdraw the proposed rule until the scientific report on the connectivity of waters is completed. There is also the possibility that the new Congress will take action after the first of the year to address some of the concerns with the proposed rule. In mid-November 13, 2014, the Senate Energy and Natural Resources Committee reported S. 2379, as amended, to authorize the Klamath Hydroelectric Settlement Agreement, which provides for future removal of the Klamath project dams, and the Klamath Basin Restoration Agreement, which provides for restoration of native fisheries and sustainable water supplies in the Klamath River basin. The amendments to the bill include reducing the cost of the bill to avoid generating new direct government spending, and enabling the Governors of Oregon and California, and the Secretary of the Department of the Interior, authority to approve or deny proposals to remove the dams. The bill was introduced earlier this year by Sen. Ron Wyden (D-OR), and co-sponsored by Sen. Jeff Merkley (D-OR), Sen. Dianne Feinstein (D-CA), and Sen. Barbara Boxer (D-CA). The Committee also reported S. 1419, the Marine and Hydrokinetic Renewable Energy Act of 2014, to promote research, development, and demonstration of marine and hydrokinetic (MHK) technologies. Among other things, the bill would reauthorize the Department of Energy’s (DOE) marine renewable energy research program, and codify FERC’s pilot licensing process for MHK projects. Sen. Wyden introduced the bill, together with original co-sponsor Sen. Lisa Murkowski (R-AK), last year. Both bills will now be considered by the full Senate. The Department of the Interior’s Bureau of Ocean Energy Management (BOEM) is soliciting input on its Studies Development Plans for fiscal years (FY) 2016-2018. BOEM’s Environmental Studies Program is specifically seeking proposals for studies to inform BOEM’s information needs and National Environmental Policy Act analysis for leasing and permitting decisions on renewable energy projects in the Atlantic Region and Pacific Region. BOEM oversees renewable energy development, including ocean wave and ocean current energy development, on the outer continental shelf. A template for the submission of study development ideas for FY 2016-2018, due December 1, 2014, is available on BOEM’s website. A description of the studies proposed to be funded in FY 2015, for which individual project announcements will be made, also is available. DOE’s Office of Energy Efficiency and Renewable Energy recently announced a number of grant opportunities as part of its Small Business Innovation Research and Technology Transfer programs. 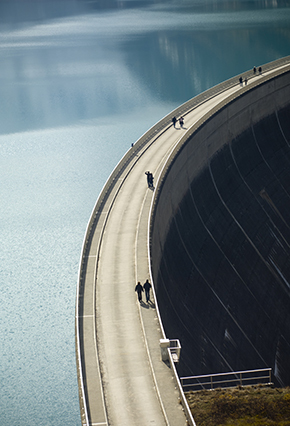 There are two such opportunities for hydropower developers. The first is for innovative small hydraulic turbine prototypes or integrated small hydropower turbine-generator prototypes that can generate between 50 kW and 5 MW of energy at low head—less than 25 feet—sites. The second grant opportunity is for innovative prognostic and health monitoring systems for use in tidal, current, and wave energy converters. The application period runs from November 24, 2014 until February 3, 2015, with letters of intent due December 15, 2014.